This is another backlog But, I still want to blog about it anyway.Â I kinda stopped pursuing my passion for photography.Â I got discouraged because I donâ€™t have enough moolah to buy enough gears for my photography.Â But, what the heck.Â Looking back, I realized I didnâ€™t need those for now.Â The camera that I currently have, and my passion and eye for photography are all that I got and I belive it is quite enough to bring out lovely photos. 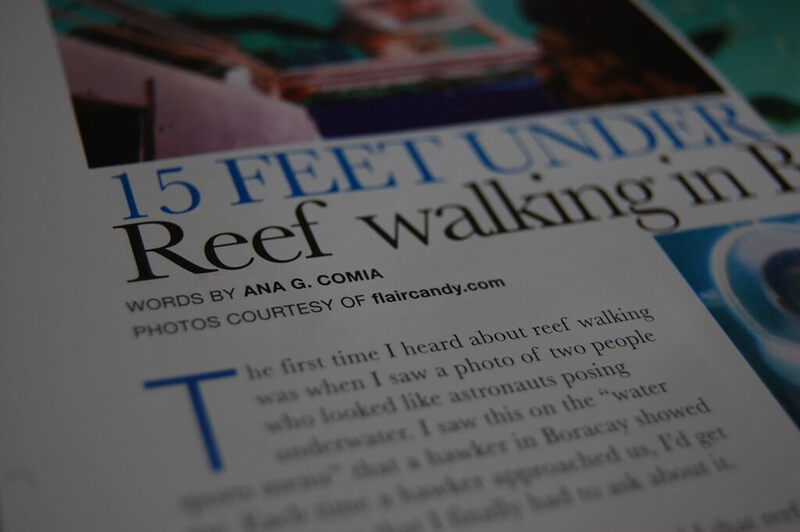 Here are some of my reef walking photos that got published on A&F Magazine (Action and Fitness Magazine, which they soon will rebrand as Total Fitness Magazine). I loved that camera so much.Â Click here to know why. If you want to buy this camera, I suggest you buy the newer versions TZ10 and latest TZ12.Â TZ12 is super new and Iâ€™m not sure if it is being sold here in the Philippines yet. This is the cover of the September 2009 Anniversary Issue of Action and Fitness magazine. 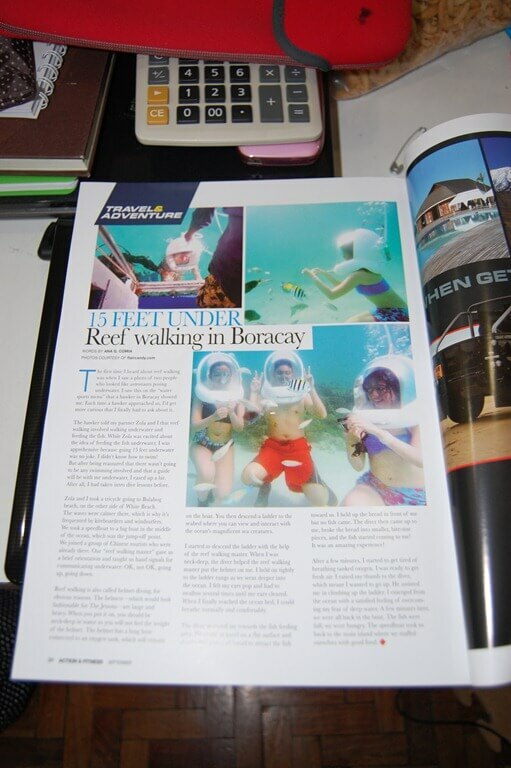 It featured the sporty Nikki Gil and Billy Crawford. They are re-launching Action and Fitness magazine this September 2010 on their supposedly 5th year anniversary and rebranding the magazine as â€œTotal Fitnessâ€. Hey, I’m set to buy my very first DSLR in a month or two. What is your present camera? And what do you mean ‘enough gears’? I’m torn between Canon and Nikon, although I kinda like Canon’s look and feel. I love photography using my canon dslr.This camera is really great. Youâ€™re so talented in writing. God is really using you in tremendous methods. Youâ€™re doing a excellent job! This was a wonderful weblog!